BTCJam is proud to release the first edition of the stats page! Feel free to take a gander and play around. The keys at the bottom of each chart are filters! 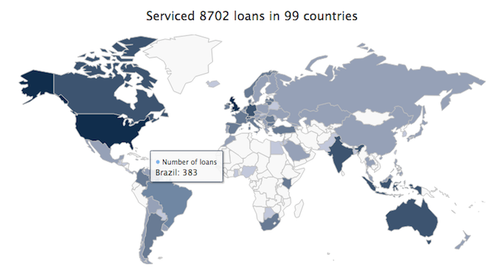 We begin with the overview map of all loans that have been serviced on BTCJam by location. Below the map is a graph displaying the loan volume per month beginning January 2013 to August 2014. The blue line shows the growth by loan amount in USD, please note that each loan is indexed to the current market rate of bitcoin at its activation. 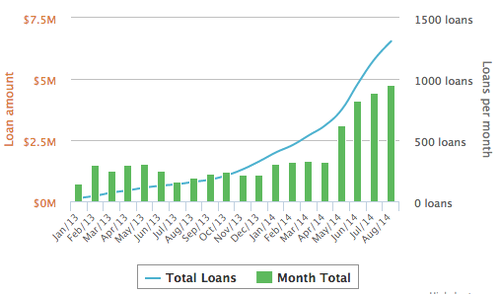 The green bars reflect the total amount of loans per month. Total Investor Returns reflects the return on investment (ROI) from January 2014. If an investor had invested in every loan since then, this would the ROI by credit score. The ROIs are broken down by the borrower’s credit score and include the defaults. 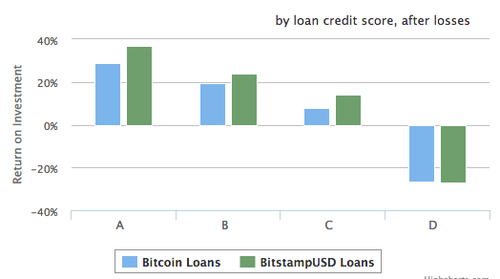 Here is an explanation for BitstampUSD loan types vs. Bitcoin loans. 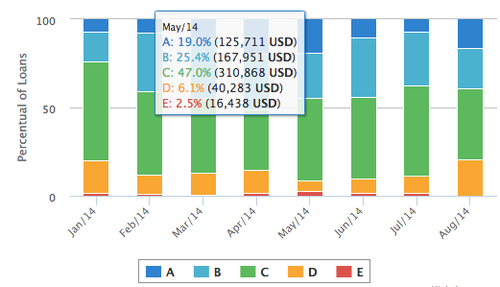 Loans by Credit Score shows the percentile of all active loans by credit score of each month starting January 2014. When you hover over, you can see the loan amount in USD (indexed to market rate of Bitcoin at loan’s activation). 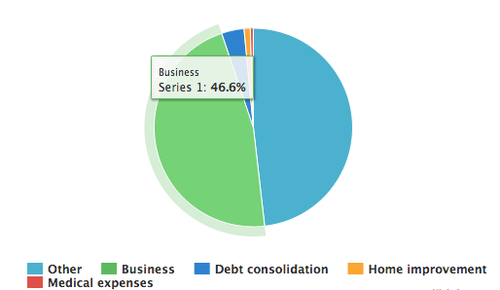 The Loan Purposes chart is a pie graph displaying all the different loan types. Thank you to all our borrowers and investors for making BTCJam the leading P2P Bitcoin lending platform! We are always working to bring new and exciting features for the BTCJam family. Today we are thrilled to announce two very important improvements to BTCJam. On top of inventing the world’s first global peer-to-peer lending platform using bitcoin and the world’s first truly global credit score, BTCJam keeps pushing the envelope on revolutionizing and innovating the financial space. With your help, today BTCJam will launch the world’s first truly social lending platform. Investors and borrowers can share ideas, strategies, and opportunities. We believe this will lead to more secure, diversified, and profitable investments. There is a new dashboard in town. The redesigned dashboard perserves the key features to the BTCJam experience. ; in addition, it helps you stay up to date on what is happening on BTCJam. Similar to Facebook, the newsfeed highlights everything that is happening with the people you trust and follow as well as the listings you invest in on BTCJam. You can see when people publish a new listing, make investments, make payments, comment on listings, and share listings they think are particularly interesting. How do I enable the social feed? Who will see my actions? 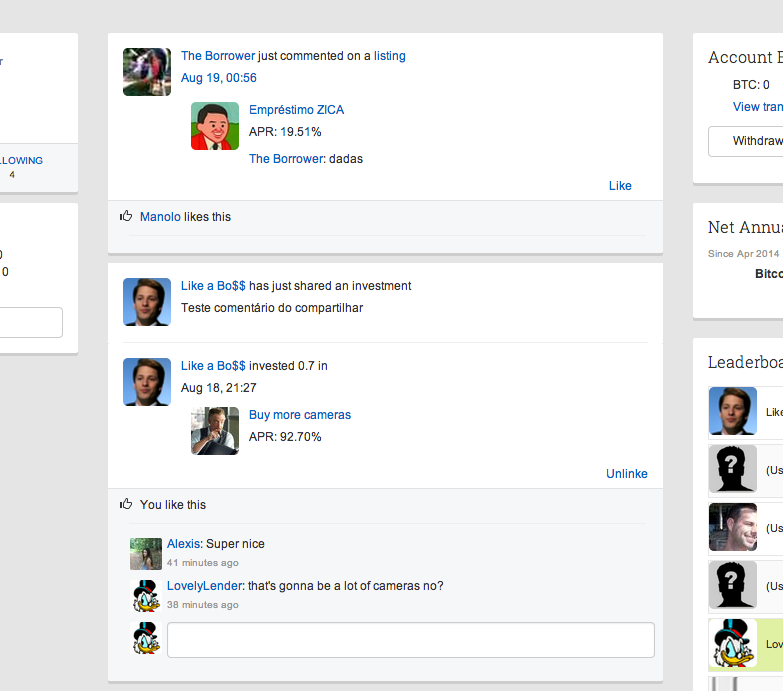 Currently, everyone who follows you on BTCJam will see your actions in their newsfeed. Furthermore, all investors in a listing that you created, commented on, or invested in will see comments and payments from that particular listing, whether they follow you or not. The newsfeed does not share anything that was not already publicly available; it just makes it easier for you to keep tabs on what is going on with your investments and comments. A new social platform has to be enjoyable and easy to use. That is why we are also very proud to release BTCJam’s updated design. The new design looks fresh, modern, and aims to reflect the truly innovative DNA of our company. We hope you have as much fun using it as we do.